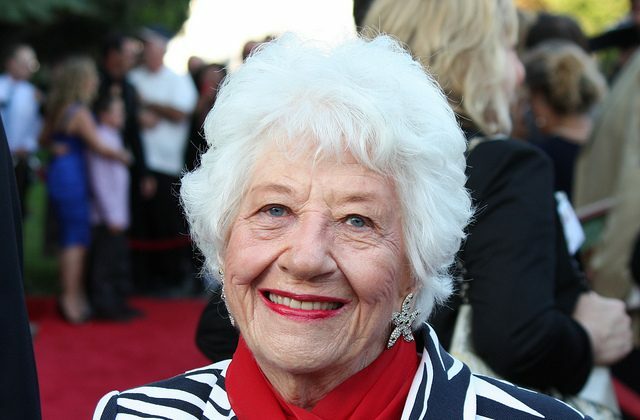 Charlotte Rae, best known for her role as a housemother in “The Facts of Life,” has died at the age of 92. The actress passed away at her home in Los Angeles on Aug. 5 surrounded by family, according to publicist Harlan Boll, reported Fox News. Her publicist did not reveal the cause of death, however, Rae told People Magazine in April last year she was diagnosed with bone cancer after defeating pancreatic cancer. “Last Monday, I found out I have bone cancer,” Rae told the magazine. The actress, who was born Charlotte Rae Lubotsky in Milwaukee, Wisconsin, was a two-time Emmy nominated actress most famous for her role as Mrs. Garrett on the television series “Diff’rent Strokes” and its spinoff “The Facts of Life.” She played a number of other roles in various television shows, delighting television fans for generations and becoming a household name. Many celebrities have paid tribute to the beloved actress. Rae remained single after her divorce with John Strauss in 1976. She is survived by her son Larry Strauss, sister Miriam Guten and three grandchildren, according to The New York Times. Andy Strauss, her other son, died in 1999.